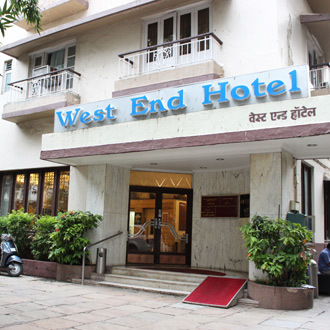 A 4 Star property, West End Hotel is situated across Marine Line promenade. It houses a total of 80 rooms and also has a gourmet restaurant. The banquet hall is well-equipped with modern amenities, and offers secretarial services. The hotel's proximity to shopping areas and commercial centres makes it a preferred stopover.